The Towerbanner stand consists of a lightweight frame which literally expands up to create a skeleton frame which then holds the graphic panels in place. Usually these panels are printed to create what looks like a continuous seamless graphic display. Halogen lights are available to create a superb graphics display stand. The appeal of Towerbanner display stands comes from their portability, ease of assembly and great value for money. They can be assembled in minutes and can be packed down for easy transportation. The versatility of Towerbanner stands means that they can be used virtually anywhere. 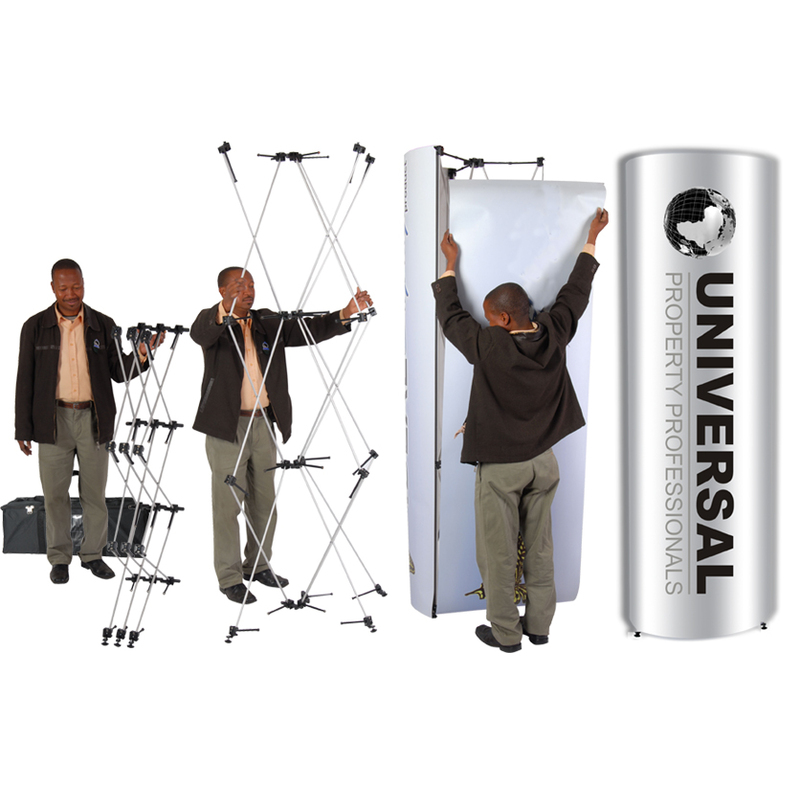 They are ideal for use at exhibitions, conferences, training events, sales meetings, reception areas or retail outlets where you want to display a brand or message. Our graphics studio can help with the layout of your Bannerwall stand graphics by offering advice on setting up your artwork and sourcing good quality images.